Any info on the effects? Amp modeller/ Cab sim? May IR loader kaya? 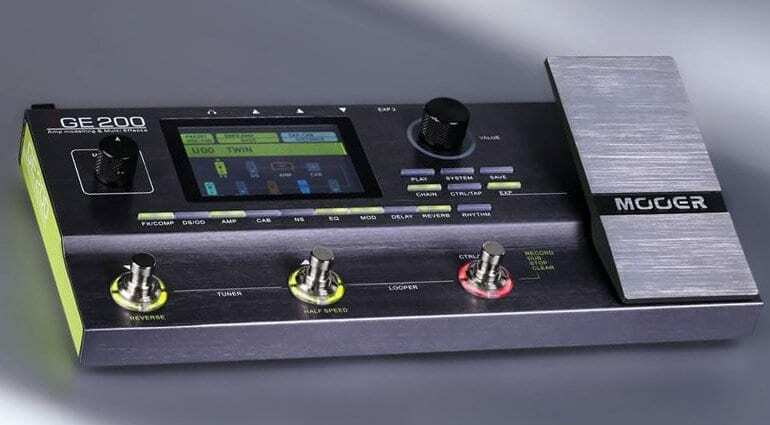 Mooer recently released a new product ge200, Keeping Micro Preamp FX Series IR Technology, built 55 IR Cabinet Tone, and more support for third-Party IR. In addition to 70, the sound of the stereo is 55, and it is easy to see if the chae can be placed at the top of the be. 52 seconds looper has a " half speed " with a " down " function to match the built-in drum function (40 drums and 10 Rhythm Machine Rhythm), aux in on and headphone. Use. Ge200 is also able to use audio-taped software via USB. Prices Are about to be announced! Shenzhen, – October 10, 2017 – MOOER has unleashed a brand new multi effects processor which delivers unparalleled amp modelling in its price range and an amazing array of effects and features which will surely impress even the most disconcerting of tone chasers. GE200 houses 55 amplifier models which utilize the same cutting-edge technology as MOOER’s hugely successful range of MICRO PREAMPS. These digital amp models will completely recreate the tone, touch and feel of their real-life counterparts. Paired up with 70 high quality effects which are spread over 9 effect blocks, this mini floorboard has everything you might need. The effects signal chain is fully customizable within each preset allowing each of the individual effects blocks to be internally routed in any order. The built-in expression pedal and 3 brightly lit footswitches provide full control over the GE200 for rocking out live on stage. Providing real-time adjustment to some very special control options like the MERGE feature, which opens up limitless creative possibilities. 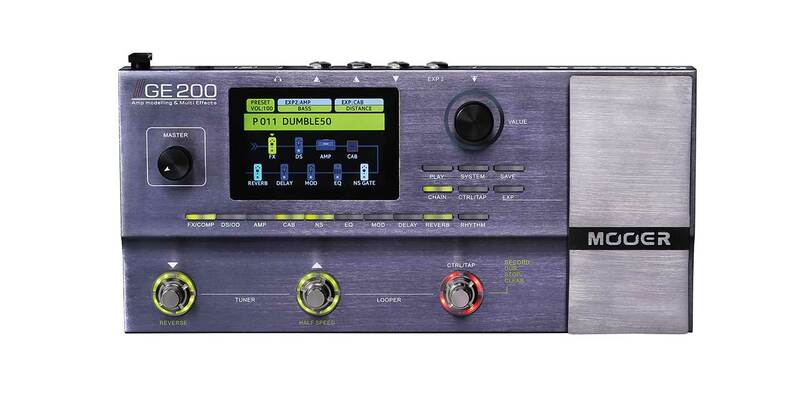 The GE200 has been designed from the ground up to be the musicians perfect partner. Be it live on-stage, in the recording studio or back home in the practice den. GE200 will be available from official MOOER dealers and distributors worldwide at a street price of around $299 USD each. Bad Behavior has blocked 85889 access attempts in the last 7 days.